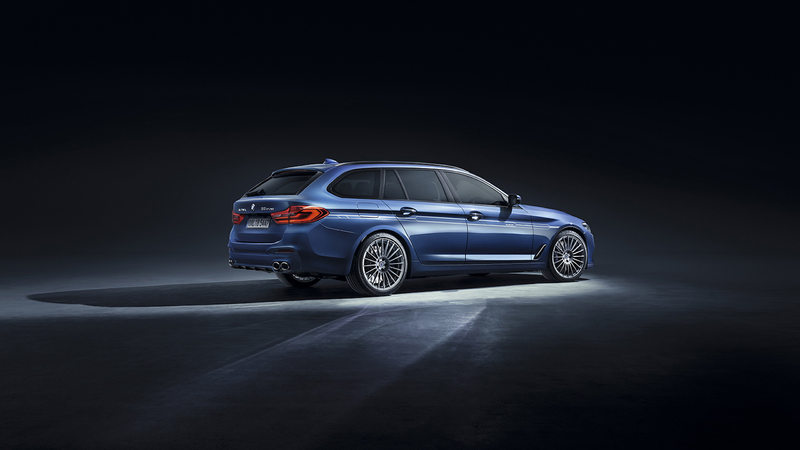 Though nothing official has come out from BMW regarding the upcoming M5, Alpina already has its go-fast version of the recently-released mid-range Bimmer and is ready to show it to the world. 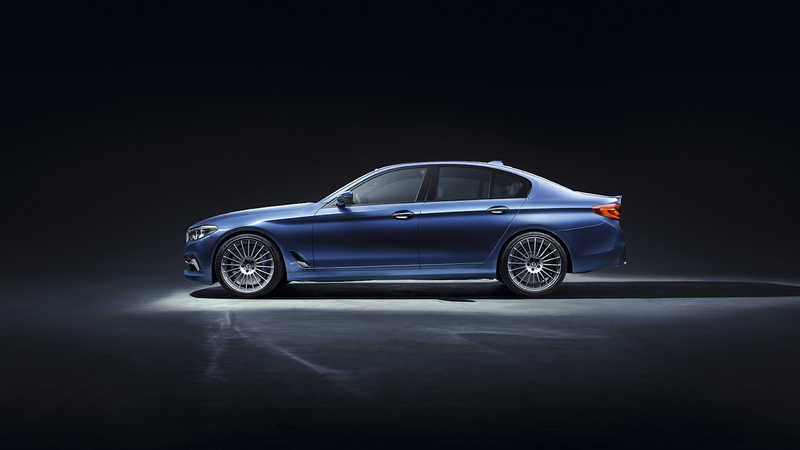 The BMW Alpina B5 BiTurbo, announced Tuesday during the Geneva Motor Show, is a 608-horsepower version of the new 5 Series. 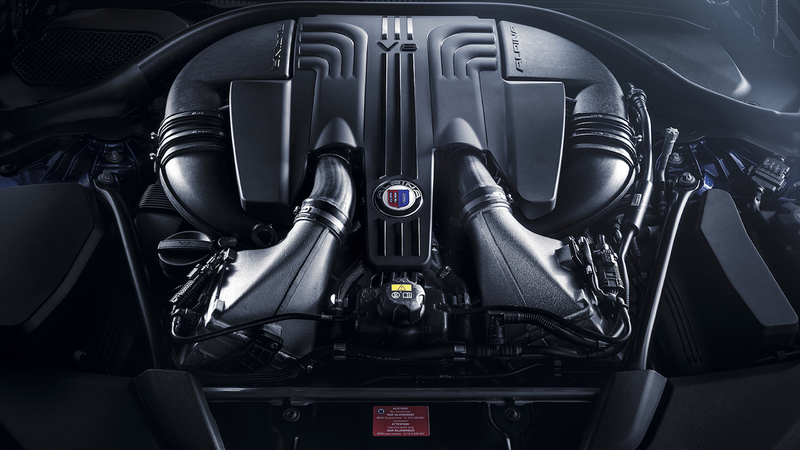 To make that power, the car is packed with a 4.4-liter twin-turbo V-8 that sends power to all four wheels using BMW's xDrive all-wheel drive system and something called an "Integral Active Steering" rear axle, which helps the car get around corners. The B5 also uses a modified ZF eight-speed transmission unit from the normal 5 Series. The car rides on electronically-adjustable dampers and 20-inch wheels with Pirelli P Zeros. The result is a 0-60 time of 3.5 seconds. To give you an idea of what that means, the already-unveiled BMW M550i does 0-62 in a full four seconds, and that is already four tenths faster than the outgoing M5. So this thing hauls. In fact, it will keep hauling until it hits its 205-mile-per-hour top speed. To answer your question, yes—it's available as a wagon, although that model does 0-62 in a completely disgraceful 3.6 seconds and has a top speed of just 202 MPH. What a shame (/s). It's unclear if either of these models will head to America, but either way, these are damn cool. 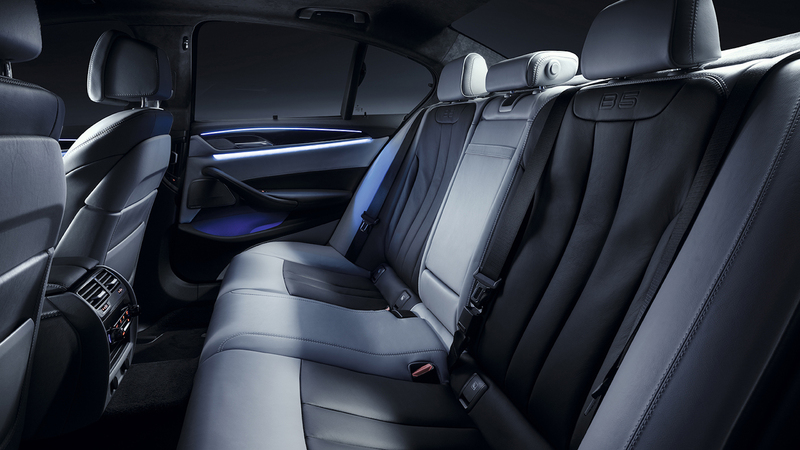 Can your limo do 0–60 in 3.6 seconds?